Travel in Style and Comfort. It's our unique way of Hospitality. Decorated in rich East India theme, the rooms come with rich quality finishes for a cosy and soothing ambience. 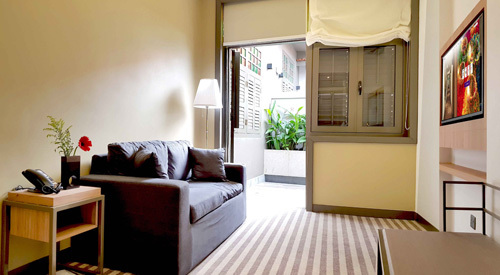 The Family Room is elegantly furnished and well equipped with modern amenities. This comfortable and spacious room is perfectly suited for a triple sharing. 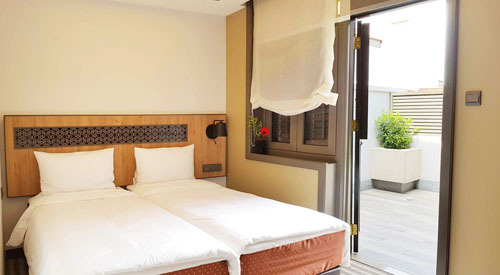 Relax and unwind at our well designed Courtyard-View Room, after a long day exploring the City. A thoughtful room design caters to a group of 3 to 5 pax.